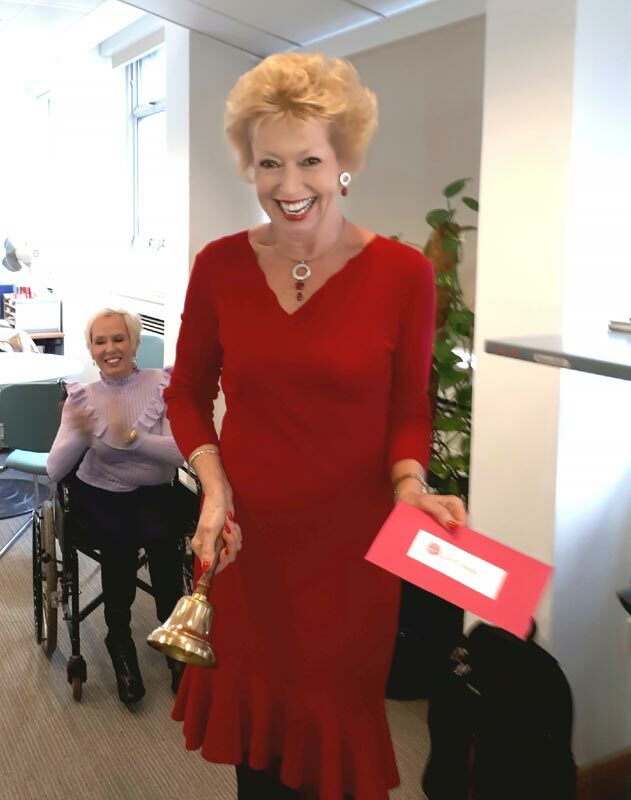 Charlotte visited their Head Office in Victoria and for the first time got to ring the “victory” bell alongside Ruth Owen, CEO and Malcolm Tyndall, Director of Fundraising. “We have 6 principle clinicians at Whizz-Kidz made up of therapists and engineers. 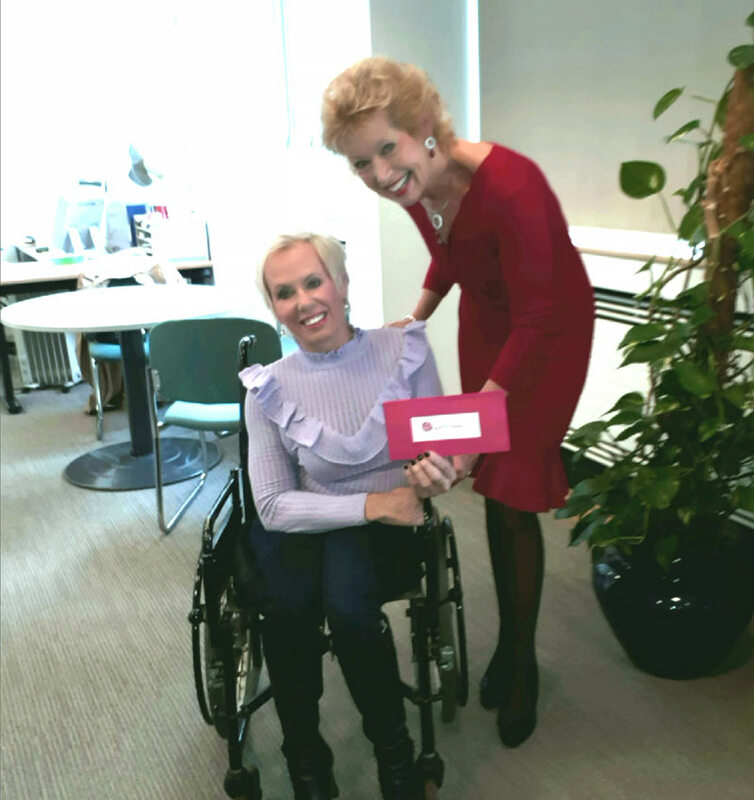 Their aim is to support 1000 young people in 2018 with life-changing wheelchairs and equipment which will put them on the first step of the Whizz-Kidz life journey, and unlock their potential. 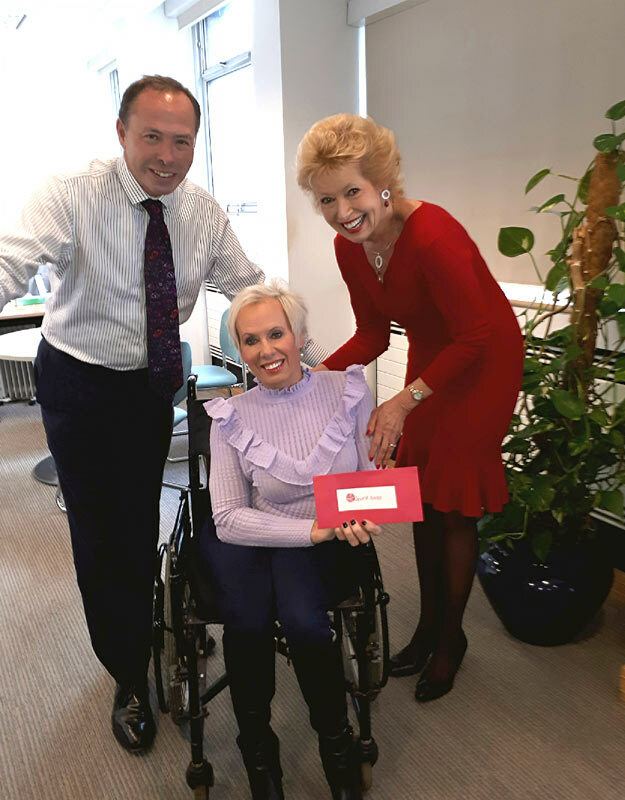 This very generous donation will support one of those clinicians and we look forward to showing firsthand the difference this support makes to so many young wheelchair users lives.